Tootal were registered in the UK back in 1799 which makes it of England’s oldest brands. 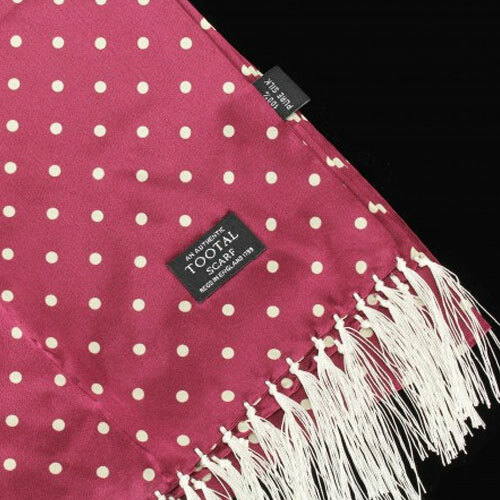 Tootal are most recognised for their trademark polka-dot and paisley silk scarves which originally sprang to popularity in mod culture back in the 1960’s. After all those years, Tootal scarves are now re-born as “TOOTAL VINTAGE” collection which are reproduction of their original scarves from the archives. Made from 100% pure Italian silk. The design is either traditional 60’s style or contemporary design with modern twist.